With a diameter of 200mm and a focal length of 900mm (f/4.5), the OrionOptics CT8 telescope is the introductory model in the incredible CT range and it's suitable both for long-exposure astrophotography and for the planetary one. When you'll use it to observe the sky with your eyes, it will amaze you with the images quality. Not only will it enable you to see things thought impossible with a 200mm telescope but, we know you will find in using it that images overall, even the ones you are perhaps familiar with in the night sky, become so much more detailed and interesting. Each OrionOpticsUK telescope is built on order, delivery time is about 40 days after order confirmation. OrionOpticsUK CT8 Newton telescope, 200mm diameter, 900mm focal length (f4.5), carbon fiber tube, OrionOptics (UK) UltraGrade optics lambda/10, 2" ACU-2S focuser with 1:11 fine focus. The OrionOpticsUK CT8 Newton telescope offers all of this along with other first-class features. The OrionOpticsUK CT8 Newton telescope is made of a carbon fiber tube, lighter and more rigid than the classic aluminum tubes. By reducing the weight of the optical tube, the mount on which it is installed can deliver more precise tracking (essential for astrophotography). The high rigidity of the construction allows to maintain perfect alignment of the optics while the very low thermal expansion coefficient of the carbon helps to maintain the position of the focal plane during long exposures. Built with the utmost attention to detail, this optical tube features a beautiful glossy finish outside and matte finish inside, to minimize unwanted reflections. Buying the OrionOpticsUK CT8 Newton telescope you are guarented of the utmost optical quality. The optics are in fact made in England by OrionOptics and are supplied with a Zygo optical report that certifies the high quality. Compared to other similar telescopes of same diameter, the OrionOpticsUK CT8 Newton telescope offers higher brightness and contrast. 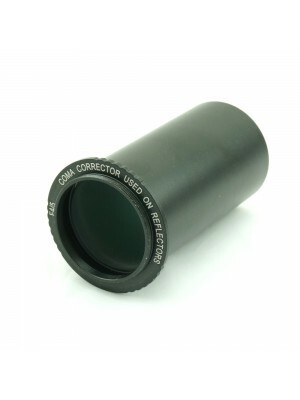 One of the parameters most commonly used to indicate the quality of a mirror is the correction in fractions of lambda (in simplified terms, the lower the value, the better the mirror quality): if cheap telescopes hardly reach lambda/4 and mid-range telescopes usually offer optics with lambda/5-6, the OrionOpticsUK CT8 Newton telescope is equipped with OrionOptics Ultra Grade optics with lambda/10 optical correction! Other important technical values (which the majority of manufacturers of telescopes does not provide as too difficult to reach) are a Strehl ratio with typical values around 99% and RMS values of the order of 0.02PV. What does all this? Better pictures, more contrasted and rich in details that will allow you incredible performances. Usually normal telescopes mirrors have a reflectivity that hardly reach 90%. This means that, with a Newton telescope equipped with 2 mirrors, some 80% of the light reaches the CCD camera or the eye of the user. The OrionOpticsUK CT8 Newton telescope is equipped with HiLux optical coating that increases the reflectivity to at least 97% across the visible spectrum! This feature allows the OrionOpticsUK CT8 Newton telescope to provide brighter images than other similar instruments of the same diameter. Further advantage of the HiLux coating is the duration in time: in fact, thanks to the incredible protection that this coating provides to optics, your telescope will not show the decrease of performance that is usually known in economic instruments, even after several years! The best optics require high mechanical precision to deliver maximum performance and maintain (or make it easier) collimation. In order to do this, the OrionOpticsUK CT8 Newton telescope uses anodized aluminum primary cells made with high precision CNC machines. 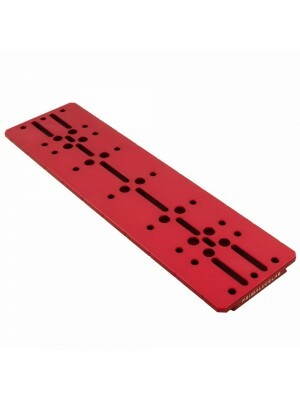 The 9 points mirror holder uniformly distributes the weight of the mirror throughout the cell. The cell is completely anodised not only to provide protection to the metal against corrosion but also to reduce the risk of scratches. The primary cell has 3 fans (12V) which, when turned on, significantly reduce the risk of fogging and decrease the time of acclimatization of the primary mirror (the telescope provides the best performance when the mirrors temperature reaches the ambient temperature). The precise collimation system allows to maintain the collimation longer compared to other telescopes. The collimation is also easier to perform thanks to the mechanical precision with which the cells are built. Often the Newtonian telescopes are provided with Crayford focusers suitable for visual use but not for astrophotography. In fact, during the long exposures required by astrophotography, this type of focuser can cause camera slippage moving the sensor out of focus. Instead the OrionOpticsUK CT8 Newton telescope uses the ACU-2S 50.8mm focuser with connection for 50.8mm and 31.8mm accessories (comes with a handy 31.8mm reducer) and a convenient 1:11 fine focus gear, particularly useful when you need to focus at high magnification (for example, when photographing the Moon or planets). The focuser body has a low profile and the focus point exit from the focuser by 65mm. In this way it is possible to use many photographic instruments such as DSLR camera or CCD cameras with filter wheels or filter wheels. For visual use, a convenient extension built into the focuser allows for quick extraction of the focuser tube to reach focus with eyepieces (without requiring an additional extension).